This was yet another very tasty dish. The vegetables were absolutely delicious; I could have made a meal of just those! While the veg almost stole the thunder from the roast beef, the addition of a medieval black pepper sauce really kicked the meat up a few notches. Definitely a keeper! Get the aurochs recipe in The Cookbook! YES! Bison would be lovely, and no doubt closer to a proper auroch! I love what you guys are doing here! Every dish looks mouth watering!! Ooo, what sort of bread is that pictured? And bison sounds awesome!! I just wanted to say that I love your website. The enthusiasm and dedication that you display for such a specific yet super-cool hobby is both very entertaining and inspiring. So thank you for your time and efforts and keep up the great work! THIS is what I am making for my husband’s Father’s Day dinner. He is getting all sorts of super cool GoT presents and this will be the perfect dinner. I am going to go hunting (thru local markets of course) for bison. We are in Atlanta, and I feel confident I will find some. I LOVE YOUR BLOG!!! Don’t stop!!! Hmm I have some bison from a hunting trip up north. It roasts well but is light on fat. 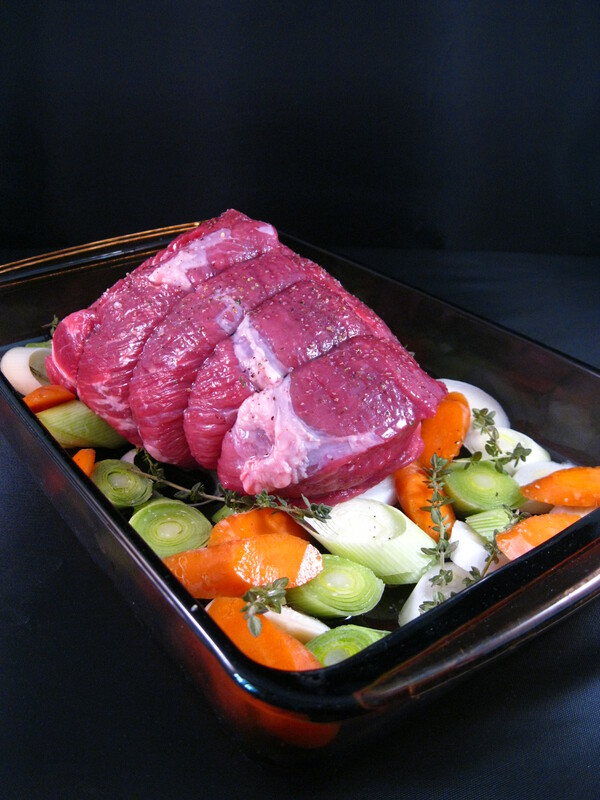 It makes an excellent roast but requires a little beef or bacon fat to prevent it from being too dry. But I will run with it. Perfectly put together blog! Thanks for gathering all of these recipes. We’re using some for our book club tonight focusing around GoT. So excited! Do you put the black pepper sauce on before serving, or is that something that you cook it with? Poured it on afterwards, like a gravy. We just had this for dinner. I used a beef joint, and the only thing I changed was that I added more veggies: potatoes, onions, mushrooms and green beans. We also made the black pepper sauce, and because it was a bit dense, I added the juice from the tray (minis some of the grease). Lovely. Photos will follow on fb. Thanks for coming up with all of this, and thanks for GRRM for the books! so question, do you put everything in dry, or do you make up some beef broth beforehand to baste with? We put everything in dry, and our “auroch” was juicy enough that we didn’t have any problems. It’s a good idea to have a little separate beef broth or water on the side in case you need it, though. Wondering… if I marinate the bison in the black pepper sauce over night, and then roast it with the vagetables, would it taste good? Have you guys ever marinated anything in that pepper sauce? It seems like it would be tasty snd juicy since bison tends to get dry, but I am not sure. Any thoughts on marinating the meat? Lovely site. I´ll make a new year feast out of these recipes. I think it would be great! We had to make do with ordinary roast for our version, but have been eyeing the new cuts of bison meat at our local Whole Foods. Be sure to let us know how it turns out!